ASPB supports faculty researchers pursuing NSF Broader Impacts (overview; perspectives report) and strives to align Society resources with guiding principles from the National Alliance for Broader Impacts as well as in concert with Boyer’s four pillars of scholarship. ASPB offers the Core Concepts (with Learning objectives) in Plant Biology appropriate through advanced study. These concepts form the Plant Biology Learning Framework at CourseSource.org. CourseSource.org offers evidence-based teaching resources for undergraduate life science education. ASPB developed (with BSA) and manages the Plant Biology Learning Framework. Submit YOUR active learning resources here for review. The Life Science Teaching Resource Community is an online community and resource library for life science educators at all levels. ASPB is a LifeSciTRC Partner Organization. Up-to-date peer-reviewed research-based content with flexible presentation components. Wiki Education Foundation cultivates learning that enriches…allowing learners to contribute to open scholarship and education for all. Why Wiki with Ugrads & Beyond? The ASPB Master Educator Program funds Society member professional development for developing undergraduate plant biology instructional materials aligned with V&C and ASPB’s Core Concepts in Plant Biology. The ASPB Plant Biology Learning Objectives, Outreach Materials & Education Grant funds Society member projects that advance youth, student, and general public knowledge and appreciation of plant biology. Funds faculty and postdocs for mentoring to teach with active learning & influence the teaching culture at their institution. SURF funds promising students so they can conduct research in plant biology during the early part of their college careers. PULSE offers a network and resources to sustainably transform classroom experiences and administrative support on all higher education campuses. PSALSE collaborates to increase our collective impact in support of V&C. 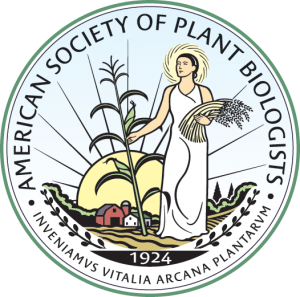 ASPB is an original collaborating society. Check Plantae for additional higher education resources. Have a Pro Tip to share? See Plantae’s career page for more professional development options.